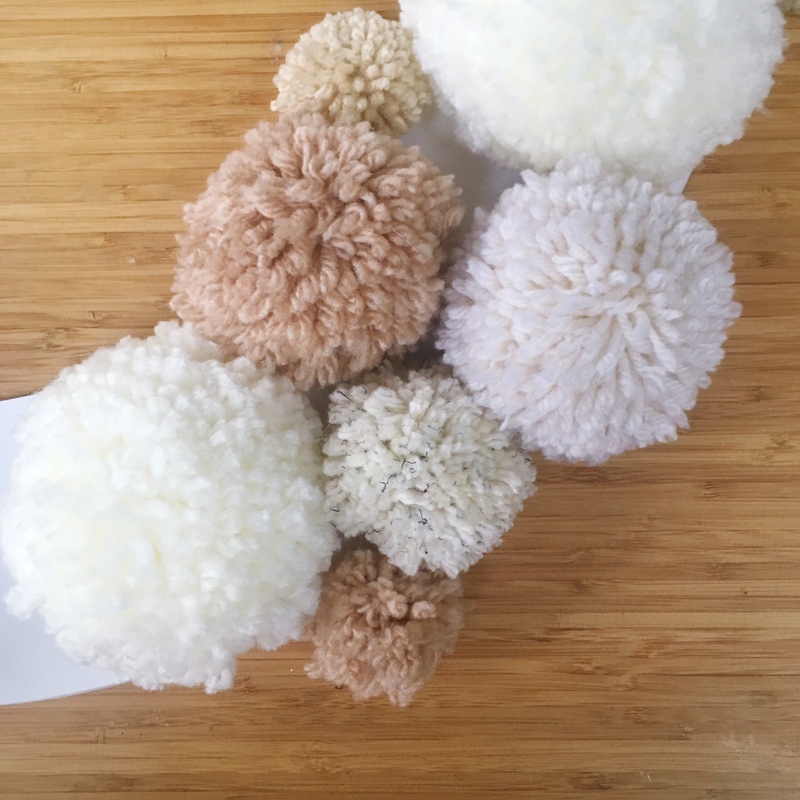 Variety of white and cream wools – try and get a selection of wools that are different thicknesses and shades – the thicker the yarn the less you need to make a pompom and the quicker it is to make really large poms! Large piece of thick card (approx. 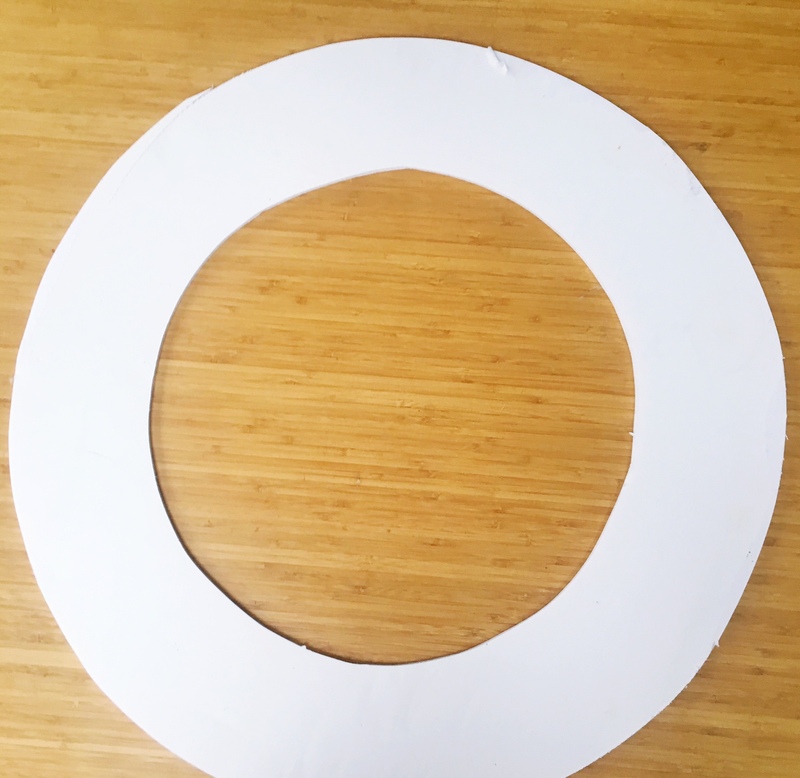 60cm square) – cardboard box or foam board works well. 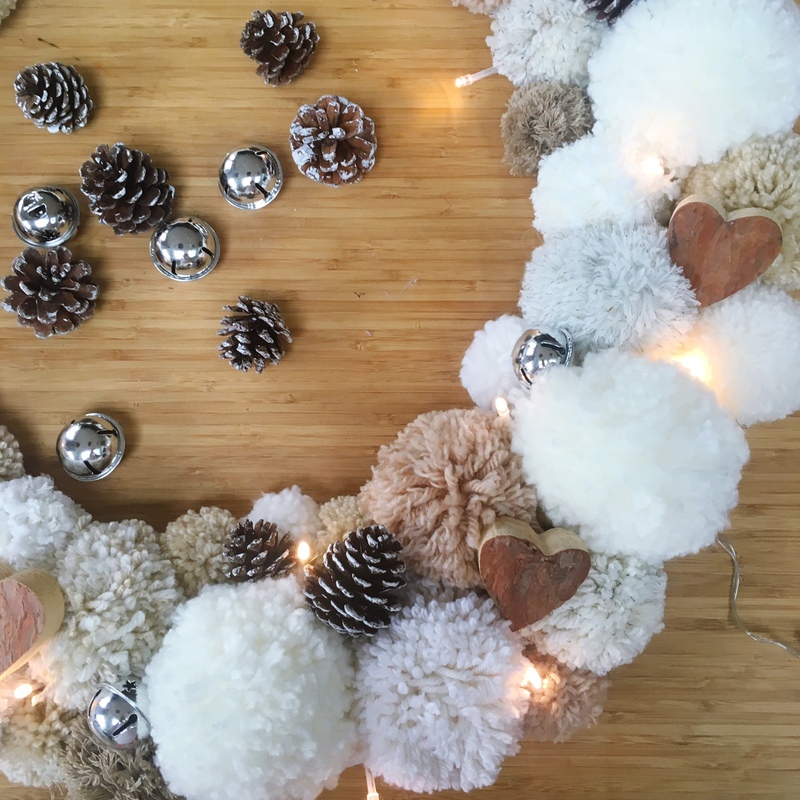 Decorations – we’ve used some wooden hearts, jingle bells and fir cones and a set of battery powered Christmas lights. 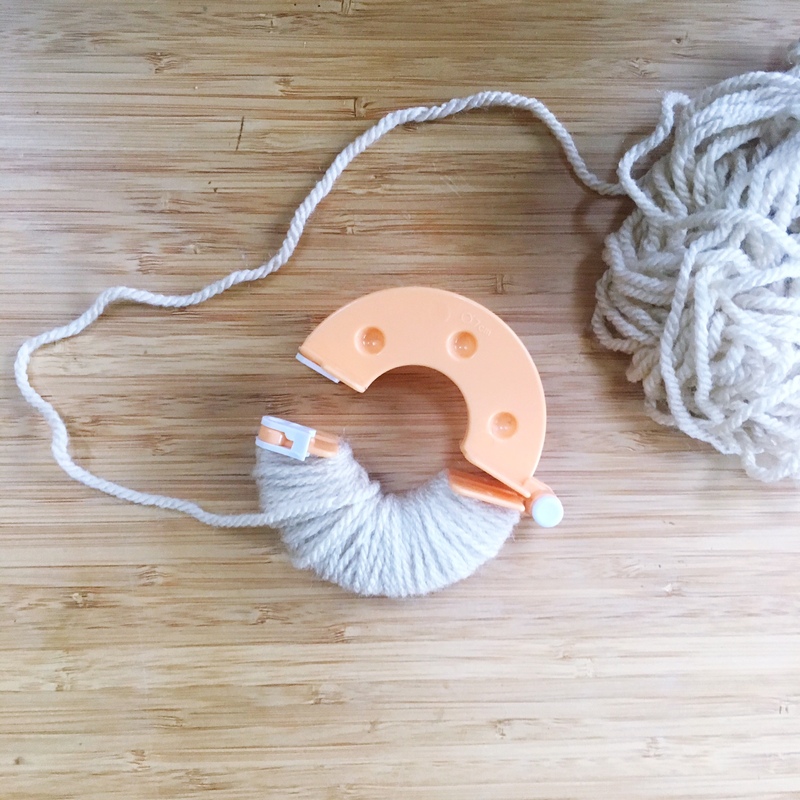 Take the two sections of the pompom maker and fit them together so the dimples sit inside the holes. Then begin wrapping one of your wools around one of the halves until it is completely full. Then fill the other half. 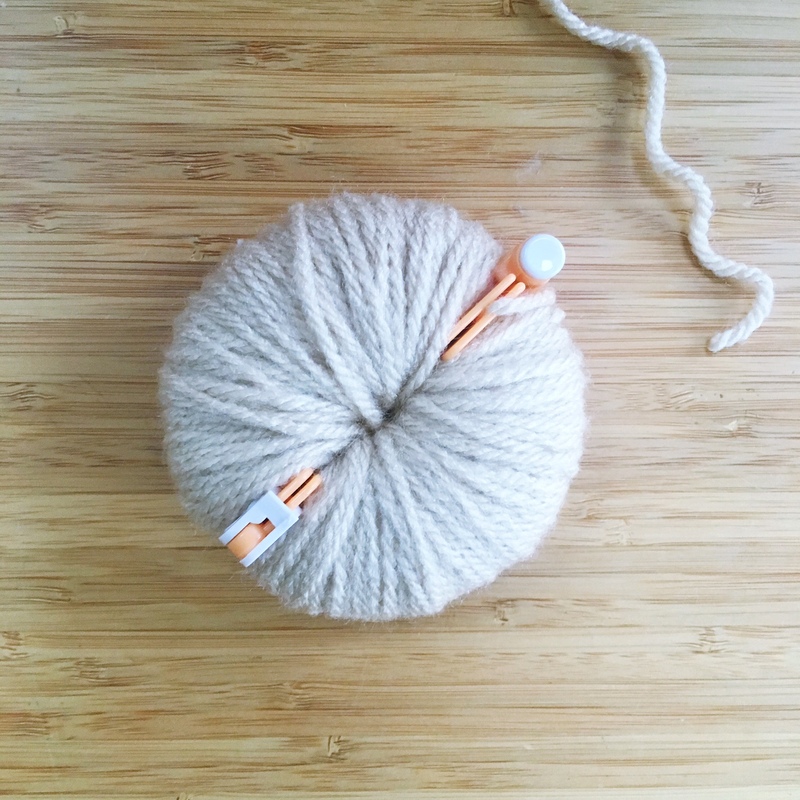 Use your scissors to cut the wool between the two pieces of the maker then take another length of wool and feed it between the two pieces of the maker. Tie a knot then wrap the wool back in the opposite direction pull the wool tight and tie a double knot. 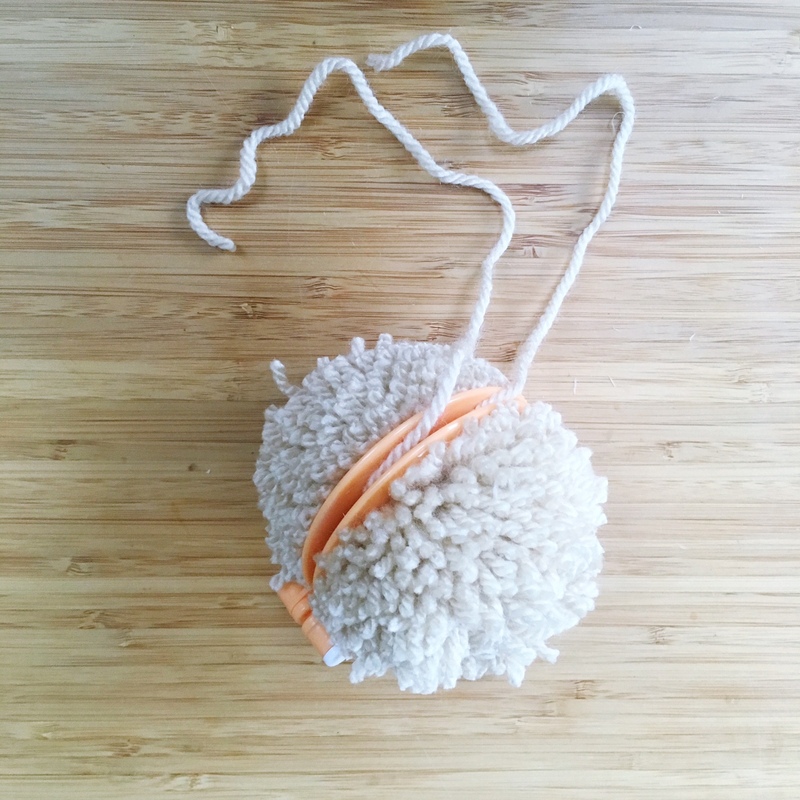 Remove the pompom from the maker and trim to make the pompom more round if necessary. Take the pencil and tie one end of the string around the pencil near the tip. Use a small piece of tape to keep it in place. 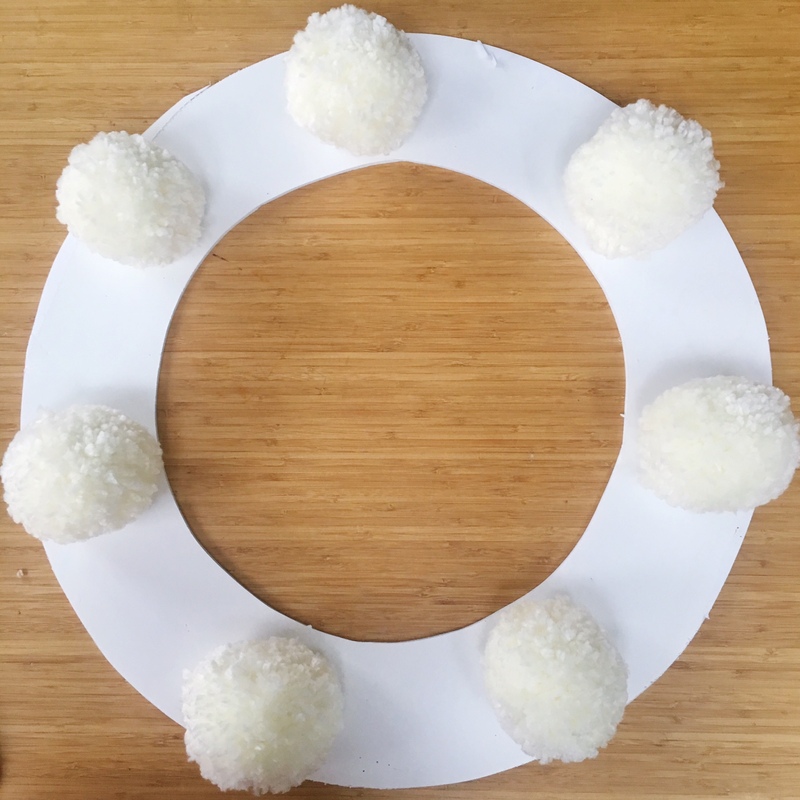 Decide on the size of your wreath and then divide the diameter by 2 to find the radius. So if your wreath is to be 60cm wide the radius will be 30. Cut the other end of the string to this length and then pin it onto the middle of the card – making sure you can rotate the pencil on the string all the way around and it doesn’t come off the card at any point. 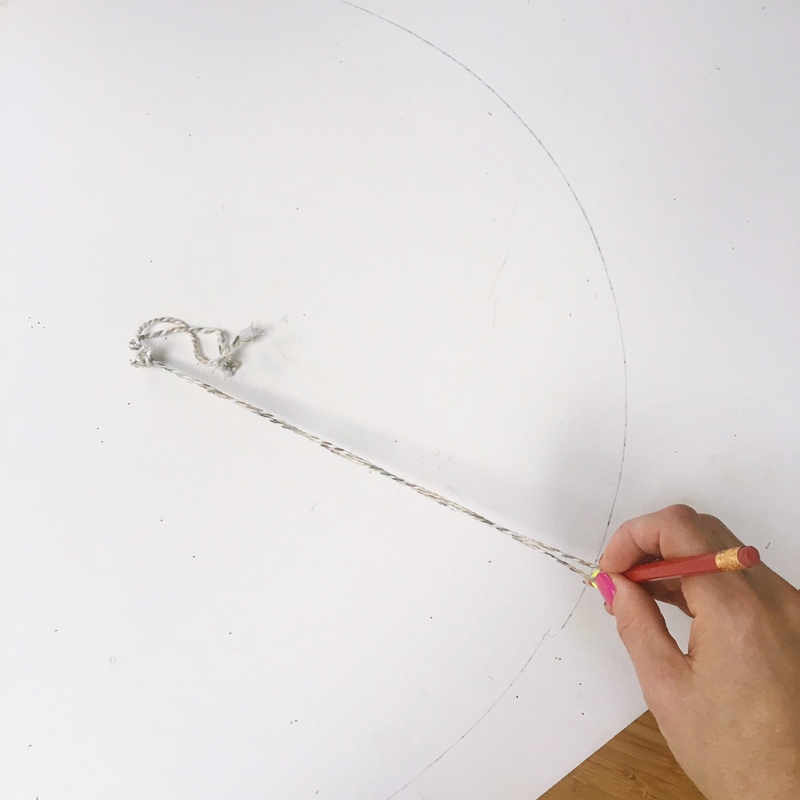 Use this pencil and string concoction to draw a circle on the card. 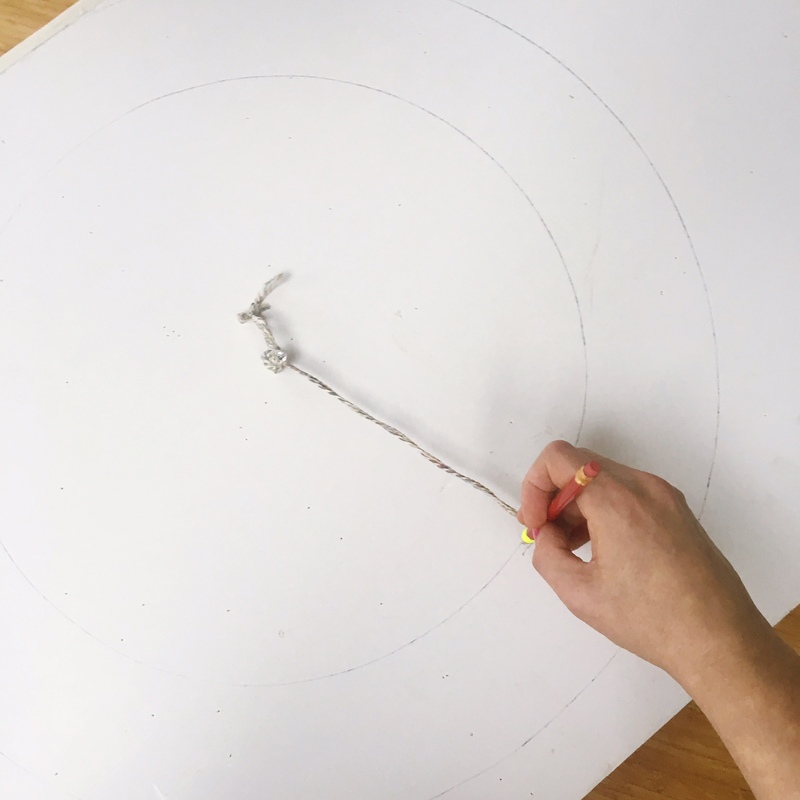 Make the piece of string 10 cm shorter and draw another circle inside the first. 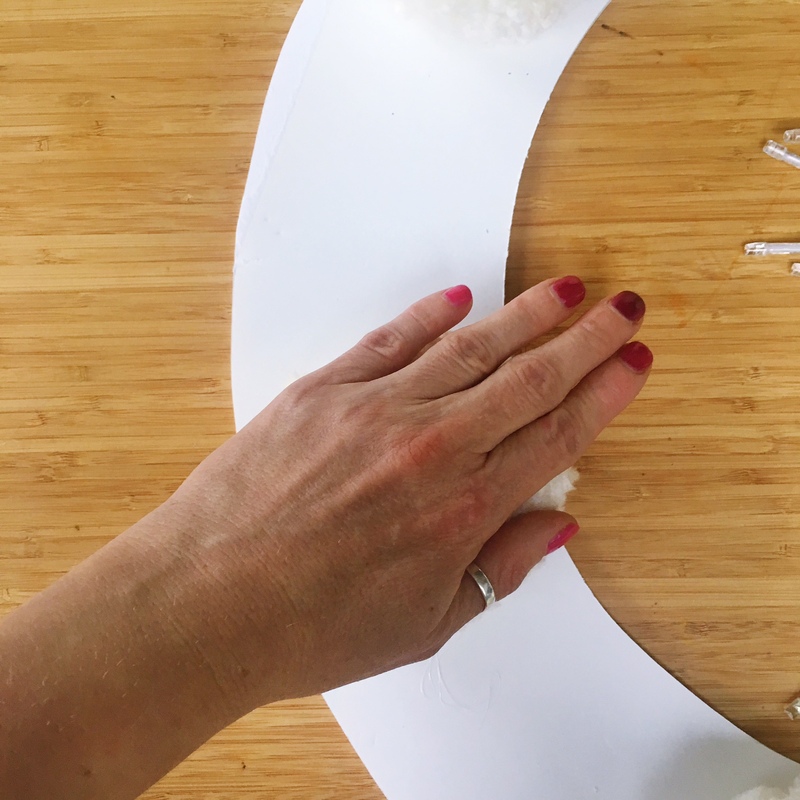 Use scissors or a craft knife and a cutting mat to cut out the ring of the wreath. 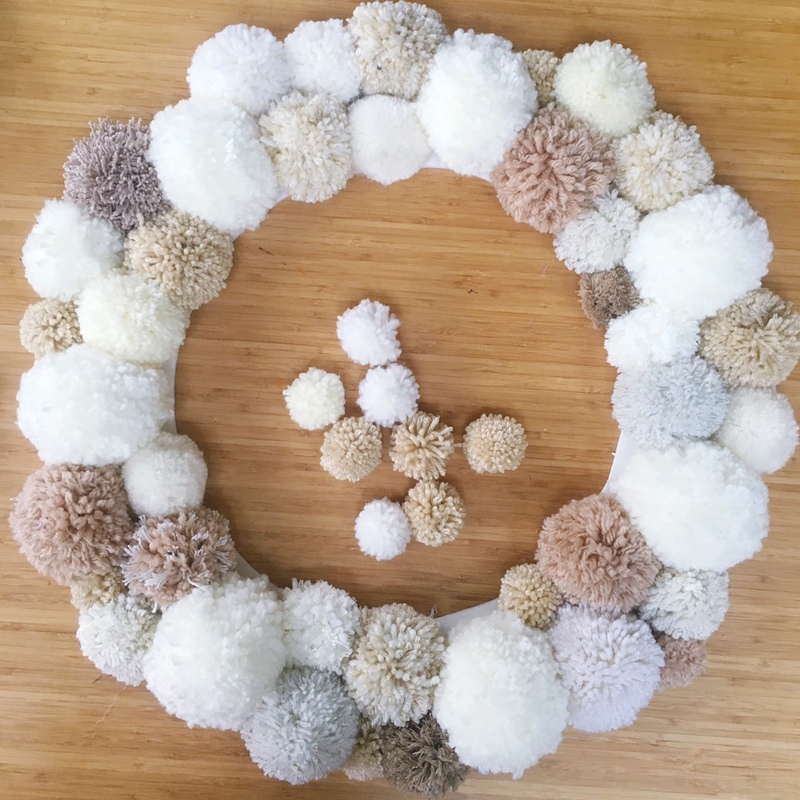 Begin arranging the pompoms, place the largest pompoms equidistant from each other around the ring. 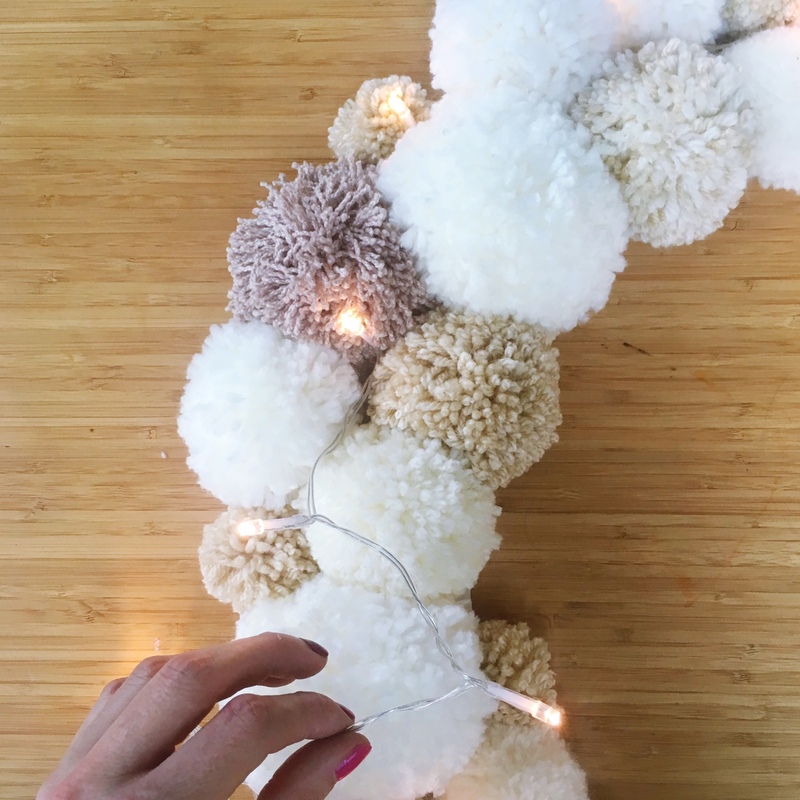 Use a glue gun to glue the pompoms in place. 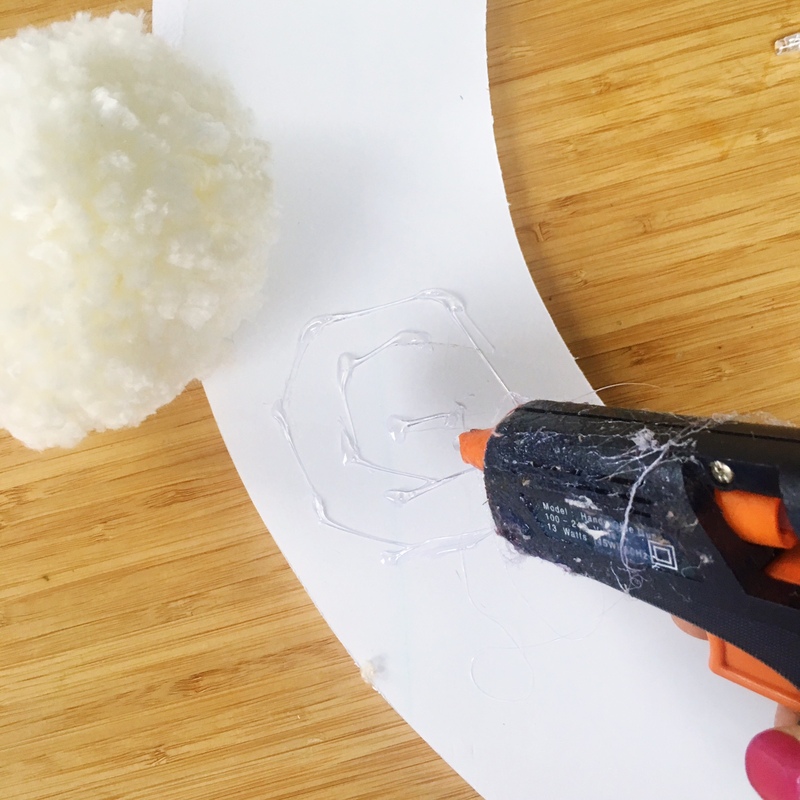 Use your hands to push the pompom onto the glue to make sure it holds firmly. 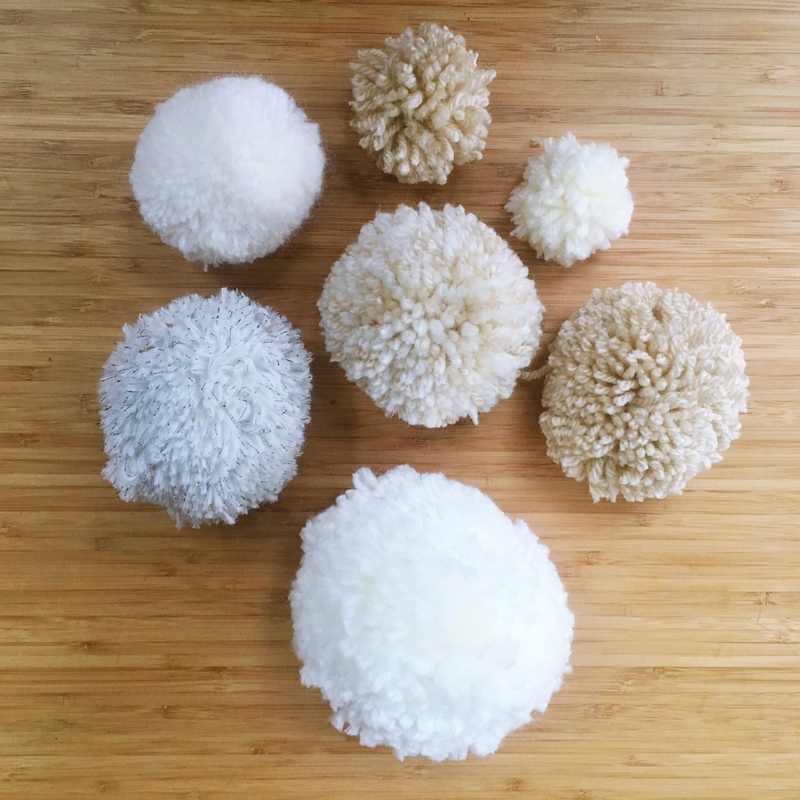 Once you have the large pompoms in place fill the gaps in-between with different size and shades of poms. 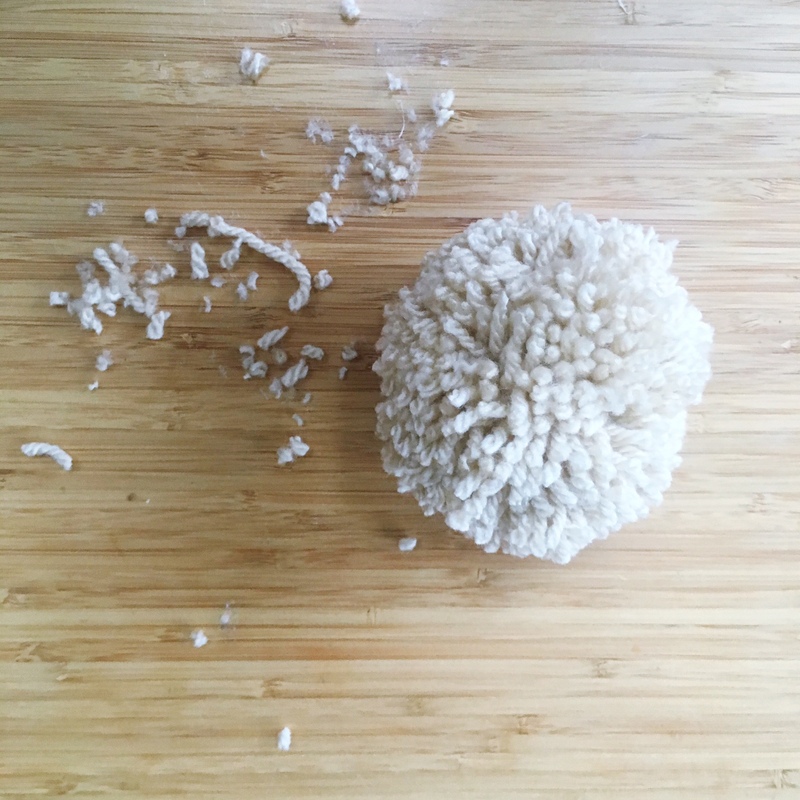 Use the smallest poms to fill in the edges to cover up any bare bits of cardboard. Take the set of fairy lights and turn them on. Starting at the bottom of the wreath arrange the lights around the wreath hiding the cable between the pompoms. Doing this with the lights on makes sure you have an even distribution of lights. Place the battery pack at the front of the wreath and hide with a bow, or alternatives secure to the back of the card. Finally, take all your Christmas decorations and arrange them around the wreath. Use the glue gun to fix in place. To hang the wreath use VELCRO® Brand HANGables™ Removable Wall Fasteners holding up to 6kg.